First they traded JaVale McGee. And we were sad. Then they shut down Andray Blatche. And we were beside ourselves. Depending on how you look at it, the Blatche shutdown is either sad or hilarious. 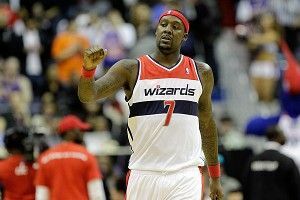 Wizards coach Randy Wittman said Blatche’s back-from-injury conditioning was the reason. “We’re going to probably not play him for a while, get him on a program here, where he can really go after it from a conditioning standpoint to get himself back into shape,” he said. We’ll leave it at that. Frankly, I’m more upset at David Stern for allowing all this to happen than I was about the Chris Paul business. R.I.P., Blatche and McGee. Gone but not 4gotten.